The Five Wisdoms, also referred to as the Five Buddha Families, are traditional Tibetan Buddhist teachings relevant to these challenging times. They are a vehicle for self-discovery and a tool for working with others in everyday life, both personally and professionally. The energies of our outer, phenomenal world and our inner, psychological realm can be experienced through the practice of yogic postures as five different qualities—simple presence, clarity, richness, passion and action—with infinite permutations. The Five Wisdoms cultivate personal integration through direct experience of the basic elements of our existence: our body, emotions, thoughts, psychology, the spiritual dimension and surroundings. Discovering our unique way of perceiving and interacting with the world yields enormous insight into our patterns: what we think, feel, say, and do. Buddha Energy is all pervasive and accommodating. The confused quality is an immobile, dense energy of ignoring, or denying. Vajra ‘sees’ without bias, like a crystal mirror. It can take on a self-righteous quality that hardens into hot or cold anger. Ratna touches everything with richness, equanimity and satisfaction. It can turn into greedy territoriality and puffed-up pride. Padma energy is finely tuned to what is happening without bias. It can cling obsessively to pleasure. Like wind, representing all-accomplishing action for the benefit of others. It can be power hungry, manipulative, competitive and envious. 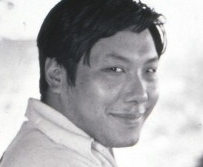 Beginning in 1972, Chögyam Trungpa Rinpoche, a Tibetan Buddhist meditation master, developed practices associated with the Five Wisdoms. The practices, which include colors and postures, are based on traditional teachings on inner yoga, the energy channels and chakras, as well as the principles of the five Buddha families of Tibetan tantra. a Kripalu article describing the wisdom energies and how posture practice allows us to experience our wisdom. Shambhala Times article on the unique aspects (energetic, embodied and transformative) of the Five Wisdoms.